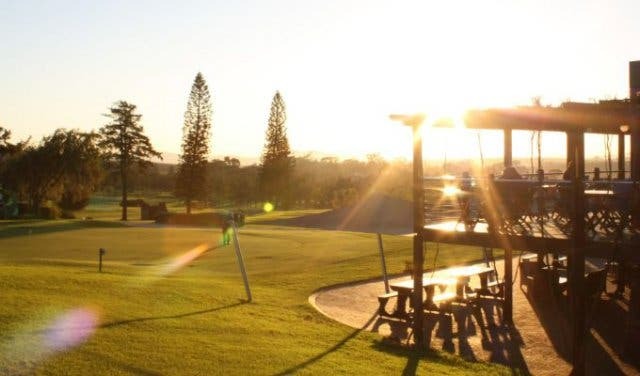 You’re sitting back on a shaded terrace overlooking a golf course. It’s Stellenbosch, so you have the Simonsberg Mountains and estate vineyards in the background. And you’re sipping on an ice-cold Cherry Weiss beer or savouring a vanilla ice-cream brownie sandwich. 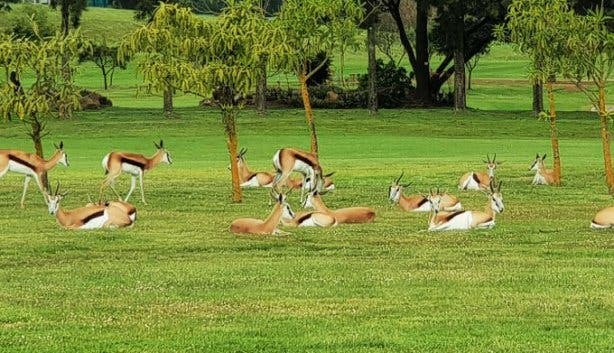 Perhaps you spot a springbok or two frolicking near the dam, and you begin to appreciate the serenity you don’t get in the city. This, we suspect, is why Devonvale is sometimes referred to as "Heaven Vale”. 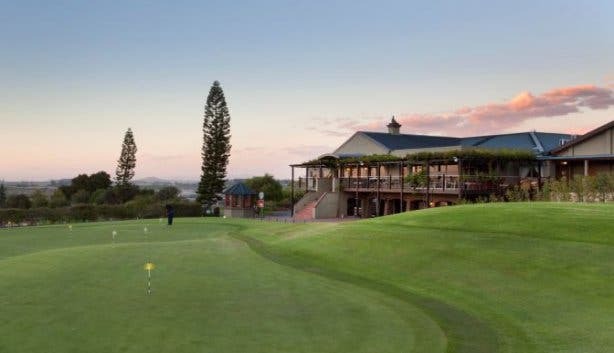 So if you’re in the mood to enjoy a peaceful meal, Devonvale Golf and Wine Estate, in the heart of the Stellenbosch Winelands, is just the place and it's only a 30-minute drive from Cape Town. You can even stay over or visit the spa for some R&R. 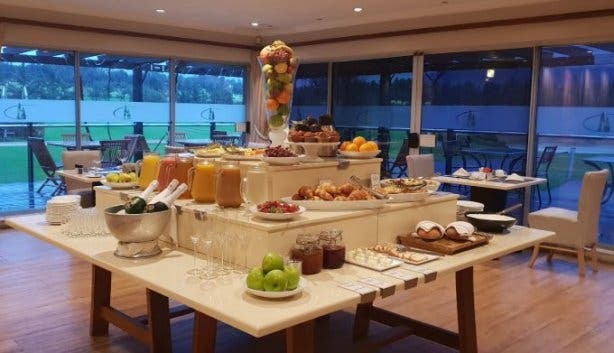 The estate restaurant Chez Shiraz, which stands above the first hole of the championship golf course, is open to the public (whether you play golf or not) every day of the week from 7am to 9:30pm. 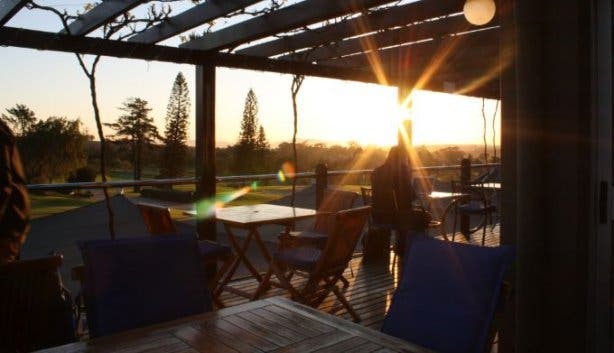 One of its main features is the terrace, where you can sit beneath the shade of the creeping vines above, or if the wind picks up, step through the expansive glass sliding doors and into the enchanting dining area. 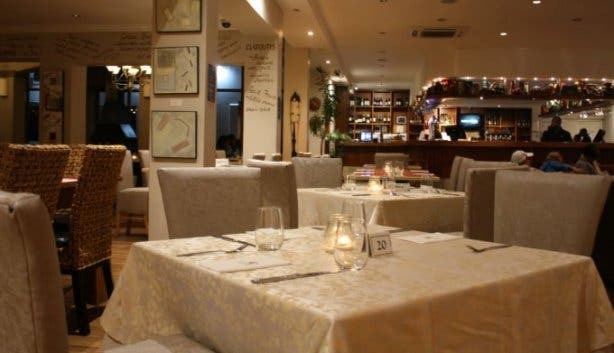 There’s an extensive menu, ranging from half-shell mussels in cream with garlic, bacon, mushroom and apple to the “meal of the day”, a rotating chef’s special. On the day CapeTownMagazine.com last visited, the meal of the day was a flavourful 200g beef burger topped with nachos, sour cream, guacamole and Eisbein. And if you need to fuel up for a day out in Stellenbosch, Devonvale has a full breakfast buffet (hot and cold options) for R190. Be sure to check out Devonvale’s meal specials. If you’d like to stretch your legs before you eat, take a seat on the couch in the lounge area (conveniently close to the bar) and take advantage of the daily special on double brandies. 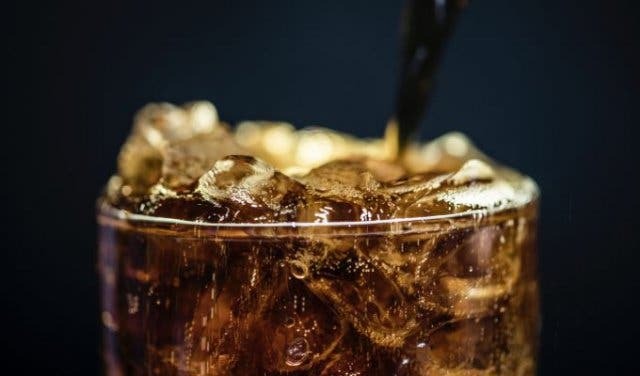 Bring a friend or four and get two double Olof Bergh brandies and Coke for R60. 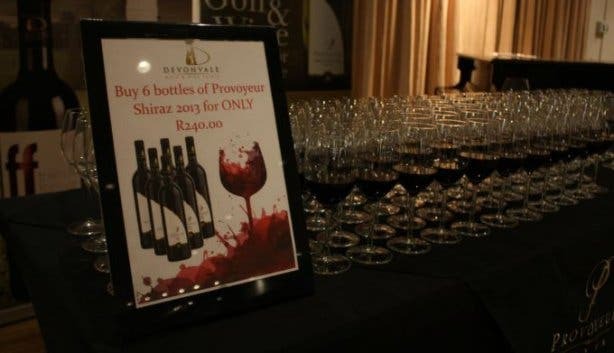 Discover the Chez Shiraz at Devonvale brandy special. Otherwise, as you can expect, they have an extensive wine list (including the estate’s very own Friends Forever) and great local draught beers, such as the Stellies Lager and Stellies Weiss. Order a cocktail while you laze next to the pool, which is a couple of steps away from the holiday houses (situated just a couple of steps away from the restaurant). 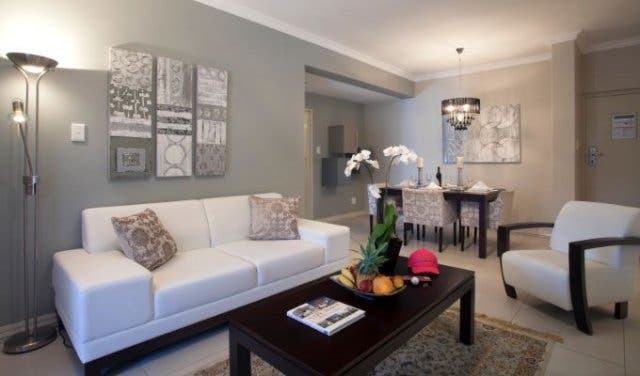 Each house has a spacious ground-floor living area and a fully fitted open-plan kitchen, dining area and a lounge leading to a private patio and braai. 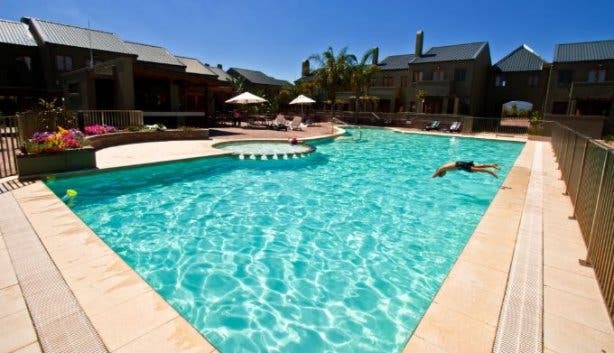 Close to the holiday houses is Devonvale’s two-floor lodge, consisting of single, double and petite hotel rooms. The single and double rooms also open up to a private garden and braai area. The rooms upstairs have balconies. What we found really interesting is the handy smartphone in every room that can be used by foreigners to make the most out of their travel experience. You can make free local and international calls with it, discover destinations to visit in the city and keep in contact with the hotel. Very handy, indeed. 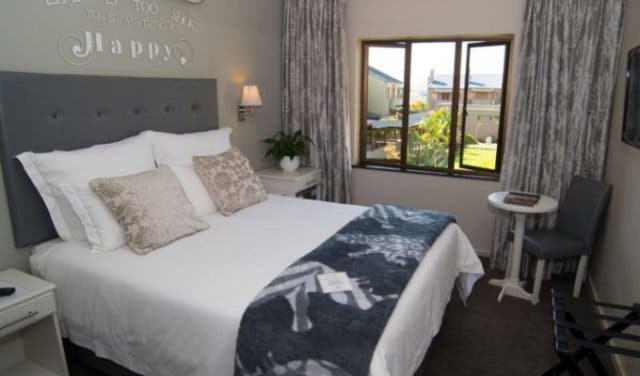 Locals-only accommodation special: R550 per person sharing per night, including breakfast, for the petite hotel rooms (valid until 30 September 2019). 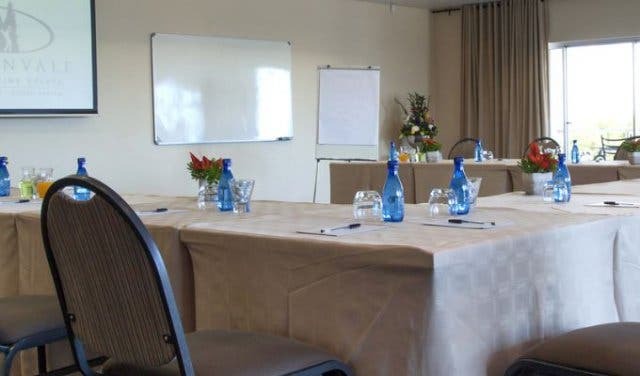 The three conference rooms are ideal for almost any occasion, from corporate functions to team-building activities and weddings. 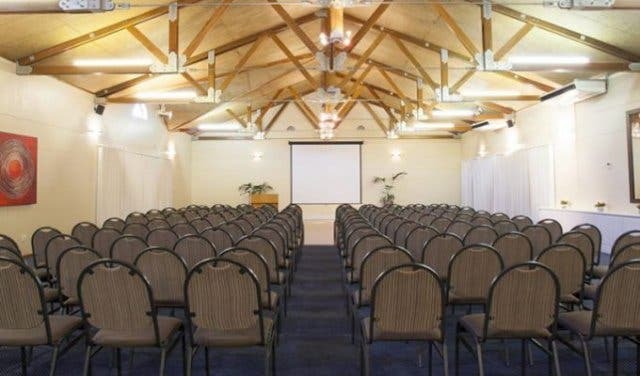 The Indaba Room is the larger of the three conference rooms and has seating for up to 180 people. 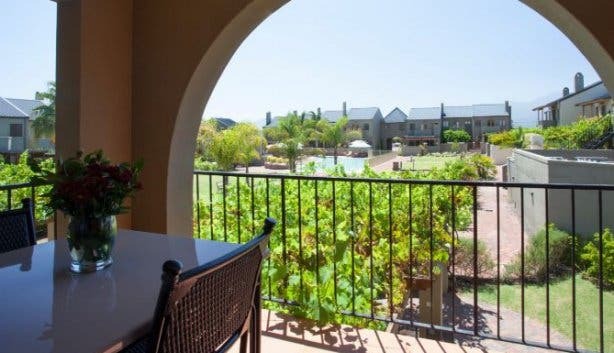 The room has French doors that open up to a patio and garden, which can be used for refreshment and coffee breaks. Braai facilities are also available. The Blumberg Room has space for up to 70 people and there is a balcony with views across the golf course. 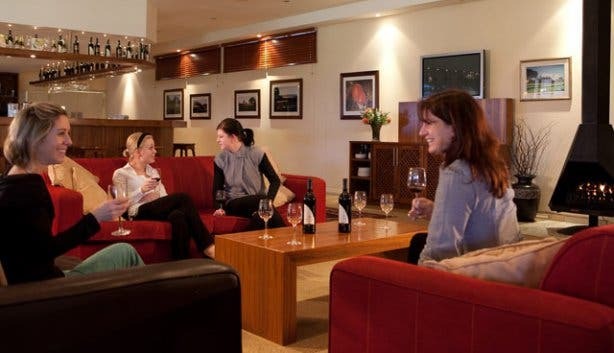 Then there’s the intimate Wine Tasting Room, which can fit up to 10 people. 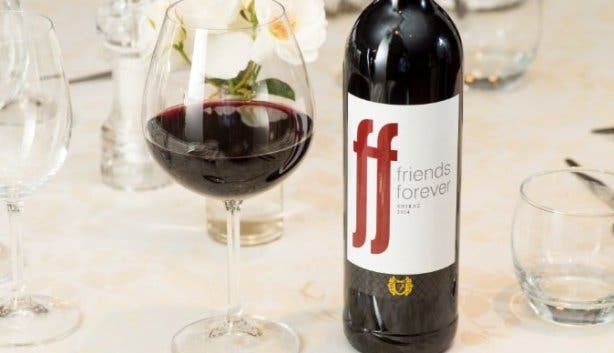 This is used for breakaway groups within a workshop or, of course, wine tasting after your conference. If you are looking for a meeting venue away from the office, or a smaller, cosier environment, this room is perfect for your needs. Note: Catering is available, and all dietary requirements are catered for. 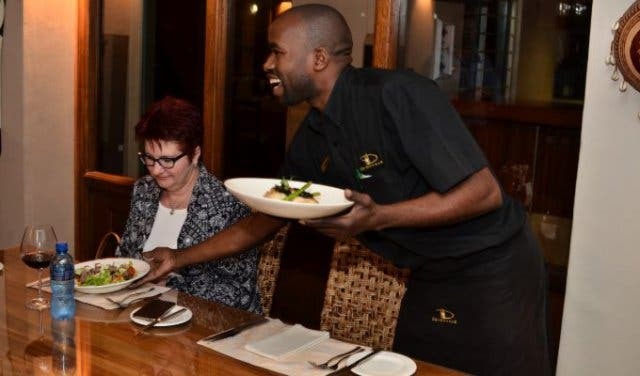 Make sure to let the restaurant staff know that you’re coming by getting hold of them on +27 (0)21 888 4731, or email restaurant@devonvale.co.za. 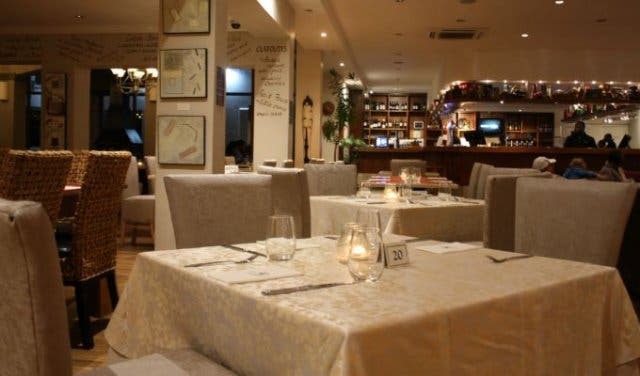 Looking for a nice place to have breakfast in Cape Town.